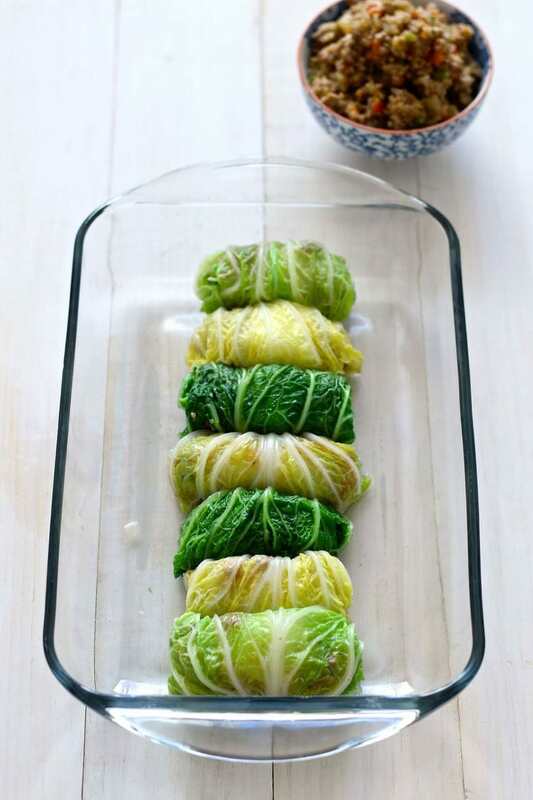 Cabbage Rolls are something I've always wanted to try, but never quite got around to making. When I was recently invited to a fall potluck at a friend's house and learned that one invitee couldn't eat gluten, I decided to experiment and make them with quinoa! Obviously with that healthier step taken, I couldn't resist using ground chicken as the main protein instead of the higher calorie ground beef. The result, though quite unusual for cabbage rolls, was a tasty, much healthier version of everyone's favourite fall comfort food dish! 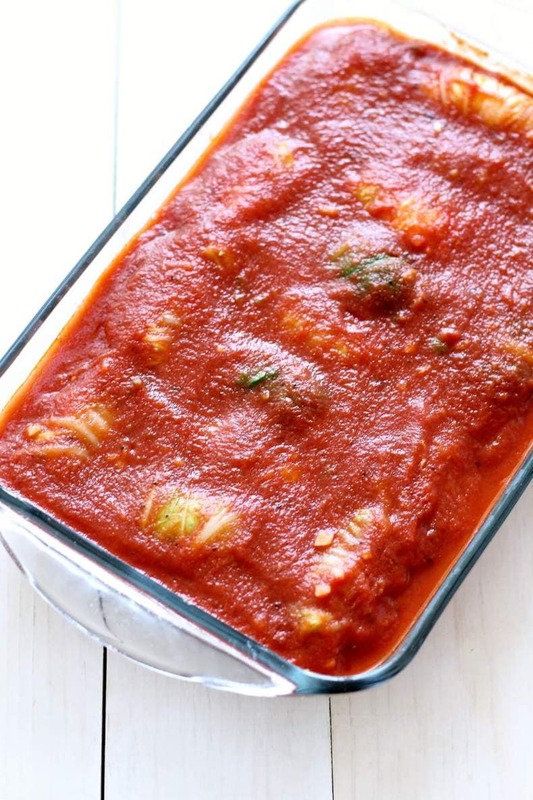 These Healthier Napa Cabbage Rolls are baked in the oven with a simple, homemade tomato sauce, and are a rich, satisfying meal perfect for family gatherings, potlucks and more. 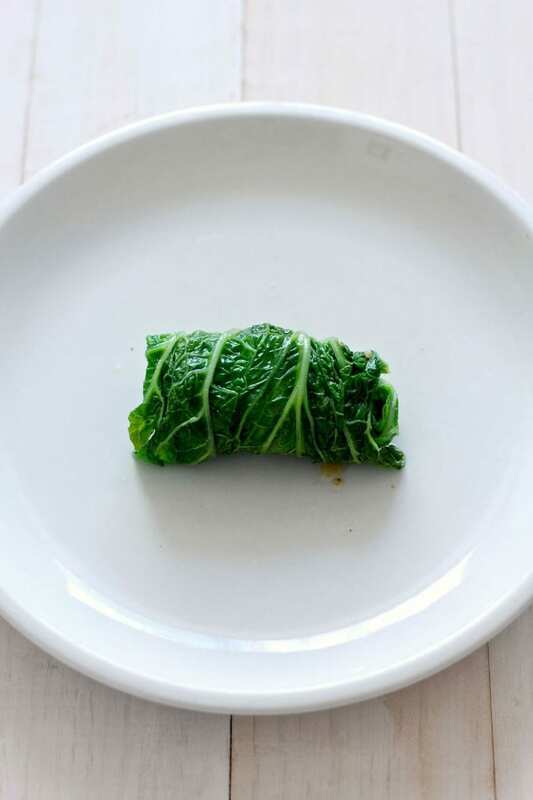 I used Napa cabbage because I've heard it's easier to roll since it is more delicate, but that's also something you should watch out for: make sure that you aren't cooking the cabbage for too long or the leaves will fall apart. Just a couple of seconds submerged in boiling water then in ice water should do the trick! 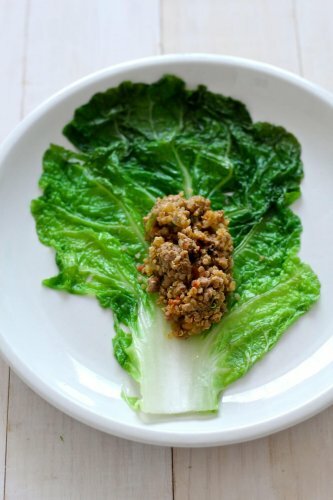 After you soften the cabbage leaves, you'll put the chicken and quinoa mixture in each leaf and roll it up, placing in a large oven safe casserole dish. The trick to amazing homemade tomato sauce believe it or not is brown sugar! Add a pinch to your crushed tomatoes along with some shallots and sautéed garlic, and you've got one hell of a sauce! 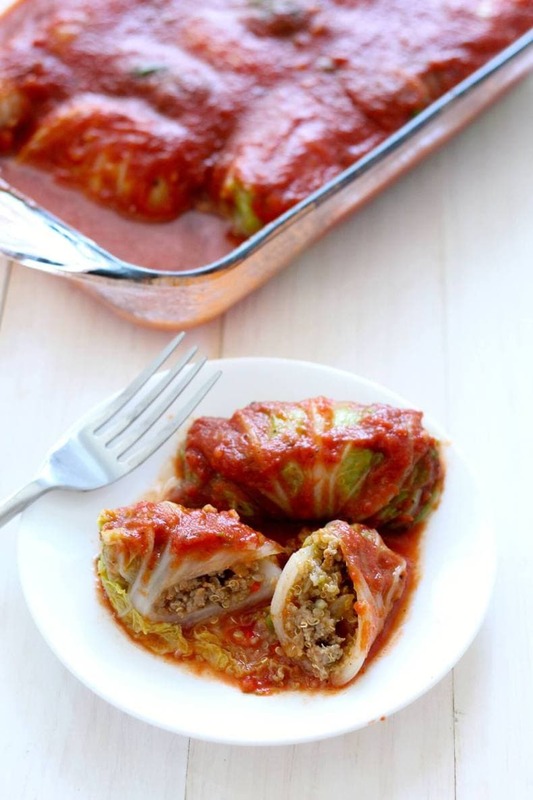 Will you be trying these Healthier Napa Cabbage Rolls? 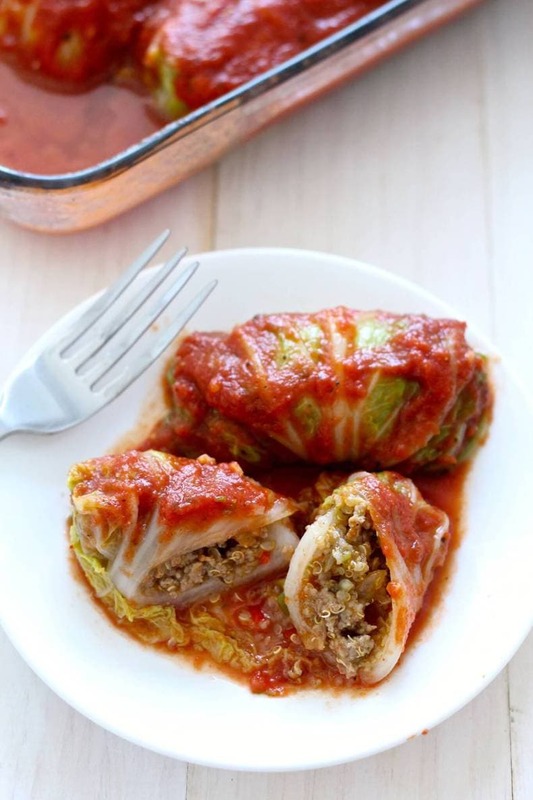 These Healthier Napa Cabbage Rolls are baked in the oven with a simple, homemade tomato sauce, and are a rich, satisfying meal perfect for family gatherings. Combine ground chicken, garlic, onion, peppers, mustard, bouillon cube, salt and pepper as a giant mix. Set aside. Heat olive oil in frying pan on high, and cook meat mixture, breaking up with spoon. Once browned, add about 1/4 cup of water and continue cooking. Meanwhile, cook quinoa according to package directions. When finished, combine quinoa and meat mixture and set aside. 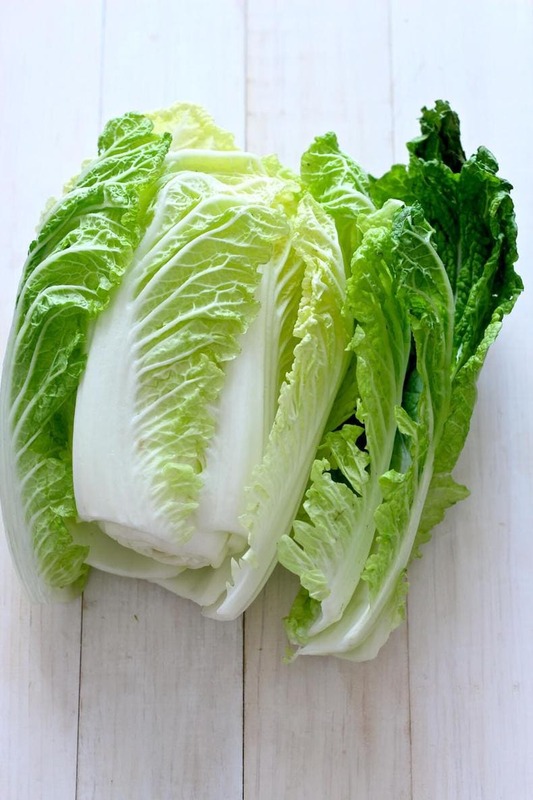 In large pot on boiling water and using tongs, insert individual cabbage leaves and submerge in water for a couple of seconds then place in ice water. Once finished, put about 1-2 tbsp of meat mixture inside flattened out, softened cabbage leaf and roll up, placing in large oven safe casserole dish. Repeat this until you fit about 16 cabbage rolls inside. Cook the tomato sauce by heating olive oil, and cooking crushed tomatoes with garlic, sugar, salt and pepper. 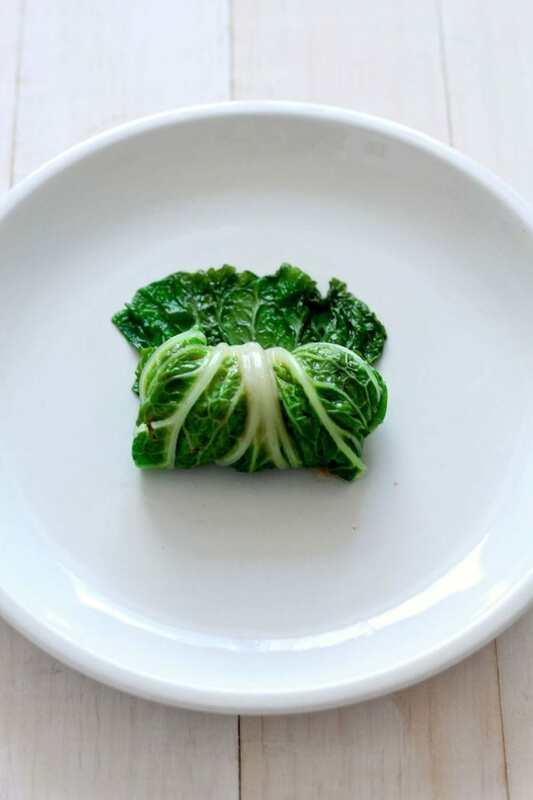 Pour over cabbage rolls. Cook for 15 minutes in the oven, remove and serve immediately! I’d love to try these. The recipe doesn’t show how much meat use. How much chicken? Oh no! I’m so sorry for the late response Andrea, I was on holiday! This is an older recipe and I must have made an ommission – I used 1 lb of ground chicken in the recipe 🙂 I have updated it here to reflect the change. Thanks for bringing this to my attention and I hope you try it!!! 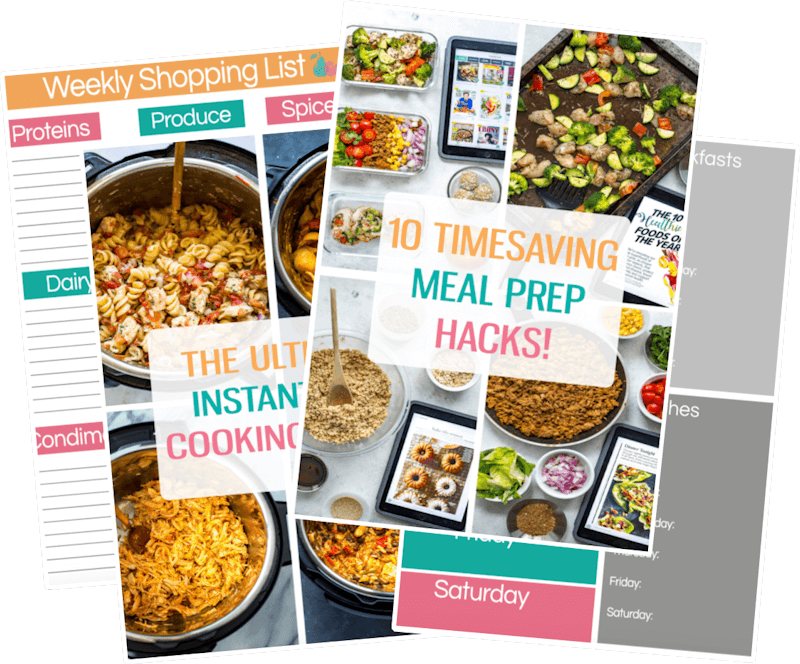 This recipe is still missing the chicken and amount, October 3, 2017. Hey Mary – so sorry this didn’t update the first time! It has been updated now! Coming from a Russian household, I love eating cabbage rolls! I found that using the regular cabbage could be a bit of a pain therefore I thought to try it with the Napa kind. 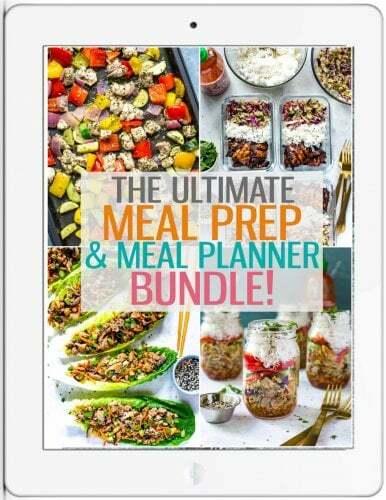 Thanks so much for your healthier twist on this delicious meal! Love it!